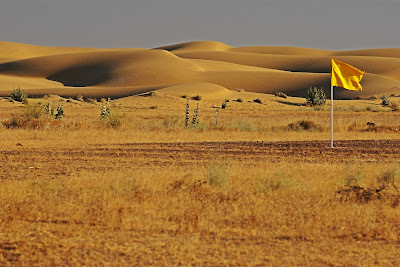 Desert National Park is situated in the west Indian state of Rajasthan near the town of Jaisalmer. This is one of the largest national parks, covering an area of 3162 km². 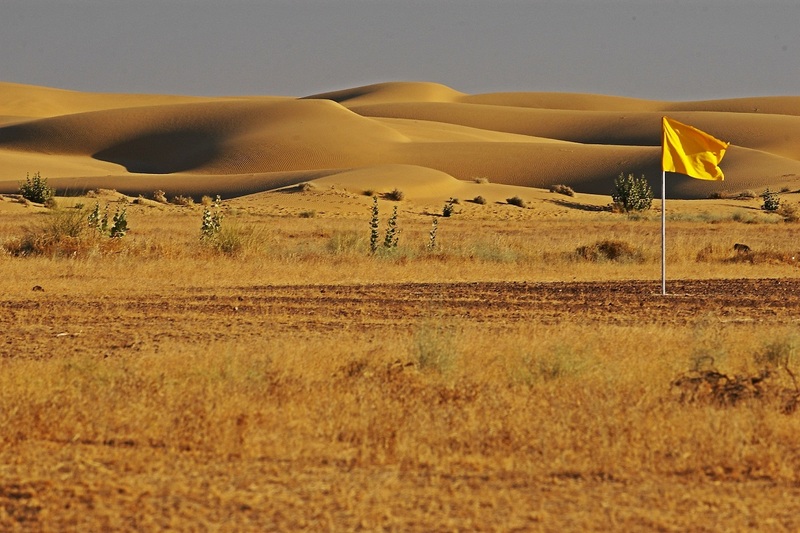 The Desert National Park is an excellent example of the ecosystem of the Thar Desert. Sand dunes form around 20% of the Park. The Desert National Park is a protected sanctuary. The park is considered not only the largest in the state of Rajasthan but among the largest in India. The catchments area of the Desert National Park is around 3100 sq. km. The desert is a harsh place to sustain life and thus most of the fauna and flora live on the edge. Nevertheless this place attracts large hoard of migratory birds due to its close proximity to Bharatpur. The great Indian Bustard is a magnificent bird and can be seen in considerably good numbers. It migrates locally in different seasons. The region is a heaven for migratory and resident birds of the desert. One can see many Eagles, Harriers, Falcons, Buzzards, Kestrel and Vultures. Short- toed Eagles, Tawny Eagles, Spotted Eagles, Laager Falcons and Kestrels are the most common among these. The unique topography and vegetation supports a unique wildlife in the Desert National Park, which include Spiny-tail Lizards, Desert Monitors, Sand Fishes, Chameleons and a wide variety of Snakes including the deadly Vipers and Kraits. Other important wild animals in the Desert NaDesert Harestional Park are Chinkaras, Blackbucks, Desert Foxes, Bengal Foxes, Desert Wolves, Desert Cats, Desert Hares, Hedgehogs and Desert Gerbils. However, it's the endangered Great Indian Bustard for which the Desert National Park Jaisalmer in known for. The Desert National Park also supports a rich and unique bird population, including some rare bird species. Among commonly seen birds in the park include the Spotted Sand Grouses, Houbara Bustards, Eagles, Gray Partridges, Isabelline Shrikes, Desert Wheatear Demoiselle Cranes, Stoliczka's Bushchat, Quails, Peafowl Bee-eaters, Larks, Harriers, Falcons, Orioles, Warblers, Babblers, Buzzards, Kestrel and Vultures etc.